E KOMO MAI (WELCOME) TO O‘AHU! One of the first questions from visitors is “What should I do when I’m on O‘ahu?” That’s a tough question for any Hawai‘i local—not because there isn’t anything to do, but because there’s so much to do! It’s a challenge to explain all the different ways you can explore this island without rambling on for 10 minutes. O‘ahu, also known as “THE GATHERING PLACE,” has it all—slowed down beachside living on the North Shore, luscious resort getaways in Ko Olina and the unique combination of first-class shopping and energizing beaches in Waikiki. No matter what type of adventure you’re looking for, rest assured that you’ll be met with cascading waves, warm sunshine and balmy breezes. The only choice there is to make is what you want to do first. To save you time and assure you experience the best of O‘ahu, we’ve compiled the island’s finest activities in this handy guide. Thrill seekers can delight in all of the unique-to-O‘ahu LAND DIVERSIONS just be sure to grab your camera before you GO ON A PHOTO SAFARI. See the island from the sky as you ZIP O‘AHU above a working farm nestled on the North Shore or acquaint yourself with the magical Pacific Ocean and drive east in the afternoon as you HEAD TO HANAUMA BAY to GET INVOLVED WITH SEA LIFE. Prior to sunset, head to Waikiki to SEE NIGHT LIGHTS before you dine on traditional Hawaiian cuisine (fresh fish, tropical fruit and farm-to-table produce) and CATCH A SHOW. 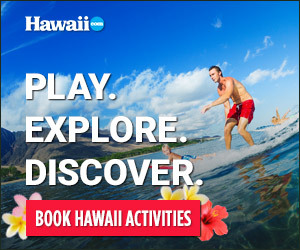 Here on O‘ahu, there is plenty to keep the whole crew entertained! HAVE FAMILY-FRIENDLY FUN when you DISCOVER A HIDDEN TREE HOUSE at the newly revamped International Market Place or VISIT AN AQUARIUM BY A REEF to watch your children squeal in delight as they spot “Nemo” (or “Dory”!) and friends. GET A LITTLE BIT OF HISTORY and culture during your travels as you ESCAPE TO SHANGRI LA TOUR A FAMOUS BATTLESHIP and then GO POLYNESIAN. Landlubbers will get their fix on a HIKE TO A LIGHTHOUSE. SHOP PARADISE for souvenirs at one of the island’s many boutiques and luxury shopping centers or PAMPER YOURSELF HAWAIIAN STYLE with a lomilomi massage in the comfort of your own room. Whatever your reason for “gathering” here, we’re happy to show you the spirit of aloha and delighted to entertain you with 101 THINGS TO DO! View our top picks below or see all 101 Things To Do on O‘ahu!